Introducing Next Generation Products at ACE16 | Chemtrac, Inc.
We will be introducing two new series of products at the 2016 AWWA Annual Conference & Exposition in Chicago next week (June 19-22). 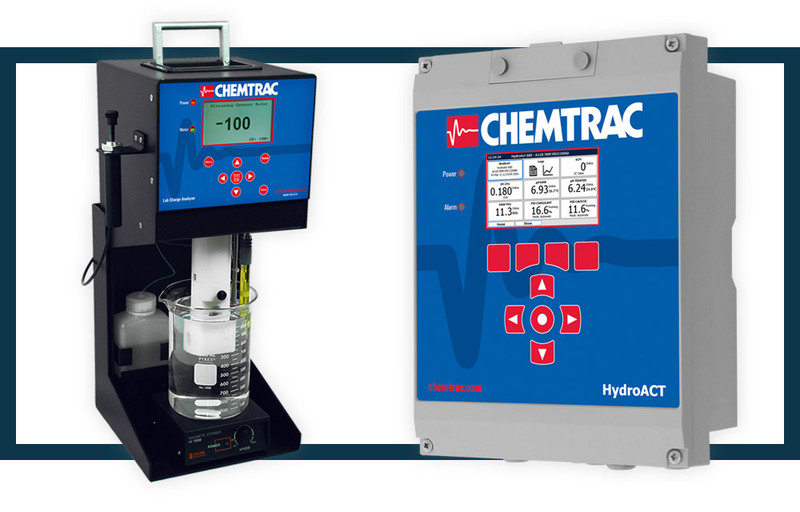 Both the Laboratory Charge Analyzers and the third-generation HydroACT multi-parameter analyzers will be revealed and on display at our Chemtrac Booth (#1040) in the ACE Exhibit Hall. The LCA builds on the success and solid performance of its predecessor models (CCA3100, ECA2100 and ECAT2100), allowing for charge neutralization titrations to accurately determine target coagulant dosages for surface water treatment. Essentially, the LCA provides a way for conducting jar tests in less than five minutes, as opposed to the traditional methods that can take in excess of an hour to run. And the HydroACT analyzer has an all-new look, and a new electronics platform. We have taken into account much of the feedback that we’ve received over the past several years, and implemented many of the recommendations, and this has allowed us to make significant design improvements over the previous models. The new analyzer features a high-resolution display, a user-friendly interface, and data storage and trend-graphing capabilities. We will of course also have on display a variety of other products, including our online streaming current monitors and particle counters. If you will be attending ACE, please stop by Booth #1040 to see the LCA, the new HydroACT design, and the other analyzers that we offer.